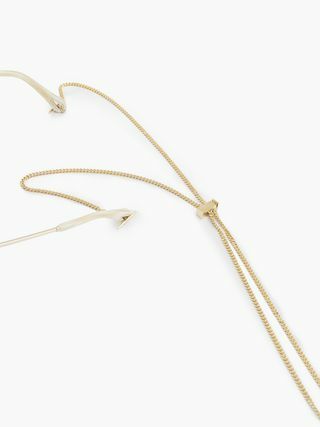 Compatible with all the Maison’s new eyewear lines featuring the drop-shaped opening on the temple tips, this striking glasses jewel was inspired by the Lynn line to create a cool, earring-like accessory. 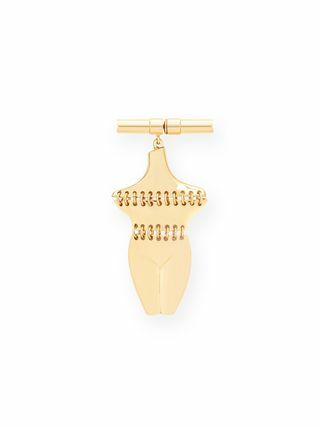 With its smooth gold finish, the dangling tassel on a delicate gourmette chain confers a slouchy but sleek attitude. 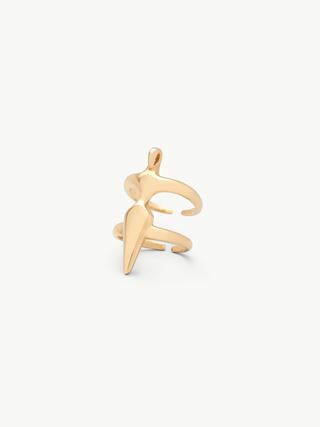 Embodying a luxurious carefree spirit, this playful piece reflects the feminine elegance of the chic Chloé girl.